Anders Fischer is Antiquary at the National Forest and Nature Agency in Denmark. Kristian Kristiansen is Professor in the Department of Archaeology at the University of Gothenburg. This book documents the rise of prehistory from its first faltering steps to a sophisticated discipline, bringing together key papers in the debate since 1851. Prehistory was born in Denmark, and over the last century and a half an outstanding succession of archaeologists has developed revolutionary approaches to the past, pioneering artefactural, economic, environmental and ecological interpretations. Central to this development was a debate centred around the relationship between the Ertebølle hunters and gatherers who left its distinctive megalithic tombs. Were the differences cultural, economic, seasonal or chronological? This is a debate that has continued unabated. This book documents the rise of prehistory from its first faltering steps to a sophisticated discipline, bringing together key papers in the debate since 1851. Prehistory was born in Denmark, and over the last century and a half an outstanding succession of archaeologists has developed revolutionary approaches to the past, pioneering artefactural, economic, environmental and ecological interpretations. Central to this development was a debate centred around the relationship between the Ertebølle hunters and gatherers who left its distinctive megalithic tombs. Were the differences cultural, economic, seasonal or chronological? This is a debate that has continued unabated. The Introduction of cattle husbandry in northern Europe has twice given rise to profound debate: among the indigenous population experiencing the innovation, and among individuals of modern times studying this major change in the human way of life. The formation of the archaeological, geological and biological sciences during the 19th century was part of the birth of modern times and a new perception of history and science (Toulmin and Goodfield 1966; Grayson 1983). The historical sequence covered by the selected articles in this book begins with this formative period, which was followed by the formation and separation of knowledge into specialist disciplines and the rise of scientific language. It is also characterised by periods of intensive, systematic interdisciplinary research that moved the frontier of knowledge forwards, followed by longer periods of filling in and consolidation, or even standing still. The discovery of the Danish kitchen middens was provoked through their destruction. In the middle of the 18th century AD many of these shell deposits were exploited for road materials, marl, etc. In his surveys of such shell deposits from 1837 onwards, Professor in Zoology J.J.S. Steenstrup (1813-1885) repeatedly observed humanly worked flint objects. Steenstrup applied to and received a grant from The Academy of Sciences and Letters in Copehagen to run a geological-antiquarian field campaign on a number of such shell deposits. During a brief visit to a small island in Maribo Lake in September 1859 J.J.A. Worsaae (1821-1885) observed neumerous course flint artefacts of types already known from the shell middens along the Danish coasts. This chapter represents extracts from two papers presented to the Royal Danish Academy of Sciences and Letters in Copenhagen. Chapter 5 represents a prompt comment on Professor Worsaae’s lecture of March 18th, 1859. Professor J.J.S. Steenstrup presented it as a lecture at the meeting of the Royal Danish Academy of Sciences and Letters on April 15th 1859. This chapter represents extracts of the concluding pages in Masden et al. 1900, which was the monumental result of ‘The Second Kitchen Midden Committee’. The formal head of the research team was Sophus Muller (1846-1934), who was a brilliant researcher and the authoritative director of the National Museum from 1892-1921. This research group was characterised by being deliberately multidisciplinary. This paper was written by Carl George Johannes Petersen (1860-1928), who was member of the Royal Academy of Sciences abd Letters in Copenhagen and founder of marine and fishing research in Denmark. He calculated the nutritional importance of oyster and fish to have been very inferior to the yields of hunting. Furthermore he estimated the time of accumulation of the Mejlgård kitchen midden and approximately 1200 years. During World War II numerous prehistoric artefacts and sites were unearthed during peat extraction in Danish bogs. The staff of the department of Prehistory at the National Museum of Denmark was busy with salvaging such artefacts and assemblages all over Denmark. The Keeper Carl Johan Becker (1915-2001) had responsibility for several of the major settlement excavations. He also undertook much of the cataloguing of finds collected by other staff members – excluding the finds from Store Åmose. This chapter is a republication of part of Becker’s doctoral thesis. Johannes Iversen (1904-1971) focussed on vegetation history throughout his career. He placed pollen analysis as a central method for understanding the neolithisation of Northern Europe. This chapter was presented as a lecture given at the University of Cambridge. Aiming at precise stratigraphical control for each artefact Jørgen Troels-Smith (1916-1991) developed an excavation system radically different from the one which had been applied to Danish excavations of cultural layers since the days of ‘The Second Kitchen Midden Commission’. This paper identifies the interdisciplinary approach which characterised Troels-Smith’s research into the Neolithisation of Denmark and Switzerland. In the following paper Jørgen Troels-Smith (1916-1991) argues, on the basis of pollen analyses from Denmark, Switzerland and Sweden, that the practice of feeding cattle with leaves was introduced in these countries with the earliest agriculture. The practice of ringing deciduous trees id described in the following chapter by Johannes Iversen (1904-1971). This chapter also presents the results of the instructive ‘Draved experiment’ replicating early Neolithic slash-and-burn agriculture as interpreted from pollen analytical studies of the early neolithic transformation of the north European deciduous forest. Skaarup’s demonstration of the early Funnel Beaker Culture succeeding the Ertebølle Culture, and his interpretation of this fact within the framework of the traditional invasion model. 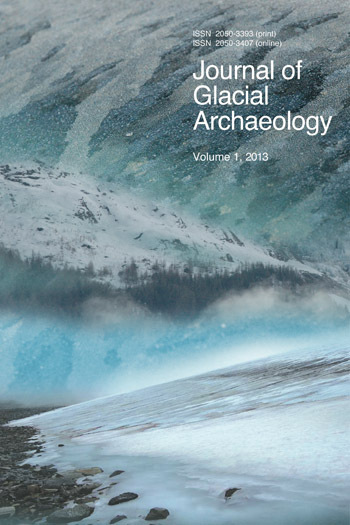 This chapter was a provisional presentation of a research programme concentrating on large-scale excavation of late Mesolithic settlements in Jutland. An ecological approach to neolithisation. In this Chapter the High Atlantic food gatherers are being analysed. The purpose is to define the tolerance of that particular subsystem and hence eventually to highlight initial conditions of the local neolithic transition. In the following chapter oyster consumption plays an essential role in explaining the introduction of farming in Denmark. 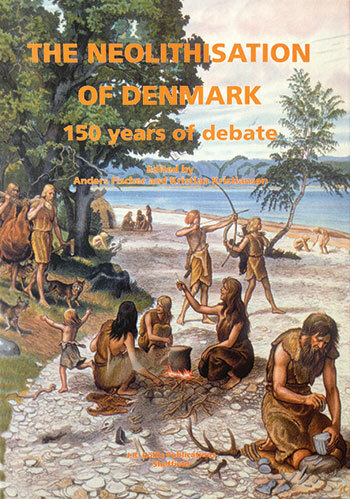 The author focused on economy and subsistence with special reference to late Mesolithic and early Neolithic sites in Denmark. Denmark is one of the richest regions in Europe as concerns skeletal remains from the Mesolithic and Early Neolithic. Temporal changes in size, shape and health status are interpreted as adaptations of the indigenous population to a new subsistence. This chapter presents an overview of all imported artefacts of neolithic origin in the late mesolithic Ertebølle Culture in the western Baltic (Denmark, southern Sweden and northern Germany). An investigation into the neolithisation process by scholars of the Archäologiches Landesmuseum Schleswig-Holstein. Thanks to new archaeological, archaeometrical, botanical and zoological evidence some of the central questions in the classical debate on the neolithisation of Denmark and Scania can now be answered and others be reformulated into testable hypotheses.